He has hijacked a shuttle bus. He’s spent five years in prison. He runs William Paterson University’s most notorious wildlife gang. He says he’s killed a man. So why are students suddenly being so sympathetic towards him? “It’s the fluffin’ wing,” said Gary G. Gaggle, a goose known around campus for his broken wing. “My reputation’s really taken a worse beating than these feathers,” he said, gesturing to his ruffled right side. Gaggle, 10, like other campus geese, used to be feared. While all geese are well-known for attacking students minding their own business, Gaggle is far from ordinary. During his first month at the university, Gaggle stole a shuttle bus parked in Lot 5 after attacking the driver. Just months later, he was charged with the second-degree murder of a bear. But since breaking his wing last year in a fight with a groundhog, students express pity towards Gaggle and laugh when he limps in their direction. During the Spring 2018 semester, Gaggle allegedly called “dibs” on a patch of grass near the clocktower. He said he saw a large groundhog quickly hop to the patch and eat the grass. The groundhog could not be reached for comment. Gaggle thinks the reason his criminal background doesn’t strike fear is because of how geese appear to humans. 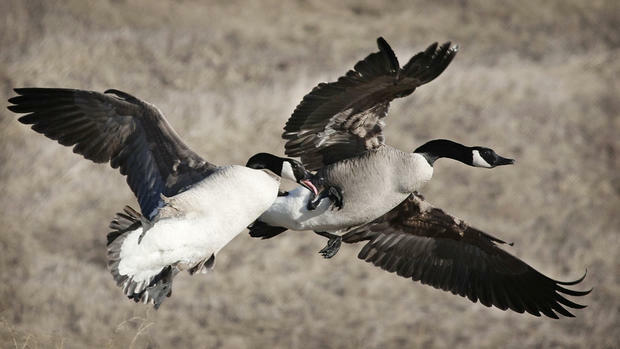 Most geese, Gaggle said, prey on the weak. But over the course of Gaggle’s short lifespan, he’s quickly moved on to bigger targets. Gaggle was charged with second-degree murder following a territory dispute between gangs the Hell Honkers, run by Gaggle, and the Stomping Stomping Very Scary Bears. Willie-Not-the-Pooh, a campus bear and member of the Stomping Stomping Very Scary Bears, warned anyone on campus of Gaggle’s wrath. Gary G. Gaggle said he wants to send a warning to William Paterson University that he will not let his hard-fought reputation disappear.